Greetings and salutations to the three of you who still remember that this blog exists! 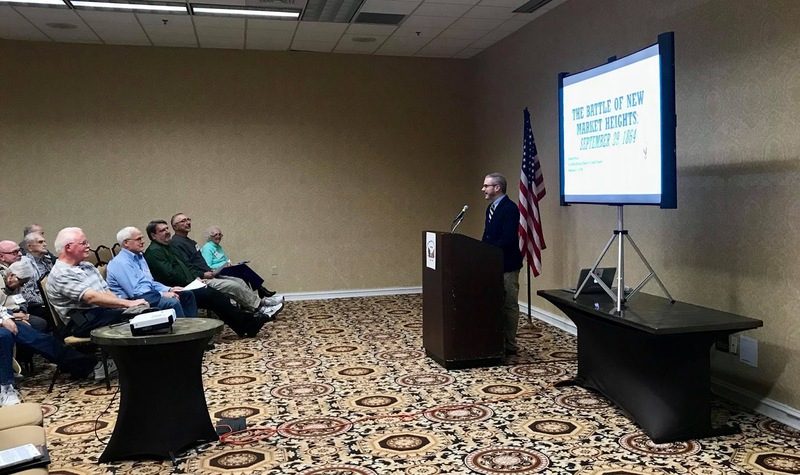 Well, it’s 2018 and three years have passed since any substantive content has been posted on this site…three years since the 150th anniversary commemorations of the American Civil War came to a close. My sesquicentennial was a madcap whirlwind of activity that saw the publication of two books, researching and leading anniversary tours of Bristoe Station, Yellow Tavern, and (of course) New Market Heights, and the most consistent output of blog posts that Freedom by the Sword has ever enjoyed. For many in public history, the sesquicentennial was a harsh taskmaster that never relented in its unceasing demand for more never-before-published information, more real-time tours that allowed you to bask in the sacred aura of the individual or unit of your choice on the EXACT ground at the EXACT moment 150 years later (adjusting for daylight savings time, of course), and more special pleading for new and improved “turning points of the war” that set the record straight from those pesky “centennialist” interpretations. While the commemoration was an undoubted success, I found myself quite tuckered out by the summer of 2015 and ready for a mental break. I was able to keep busy working on the National Museum of the United States Army project, and I refocused my research and writing on the First World War over at my other blog, where I’ve been profiling Virginians who fought in the Great War (including two brothers who were directly related to none other than JEB Stuart.) I contributed an essay to A Companion to the Meuse-Argonne Campaign and survived my first experience with peer review with an article I wrote for the International Encyclopedia of the First World War. I was even crazy enough to try my hand at teaching and spent most of the 2017-2018 school year in the classroom with 160 high school students who were subjected to many extraneous Civil War stories whether they had to do with that day’s lesson or not. So what about now? Am I done with the American Civil War? I know that this blog has been silent for far too long (especially in light of recent events) but I refuse to write salacious click-bait disguised as scholarly commentary. So if I don’t have time to write a post about a recent event related to the Civil War, I just have to let it go. That said, I am currently working on an overview of Sheridan’s Richmond Raid for Virginia Tech’s Essential Civil War Curriculum. And while I don’t have any book plans for the moment, I’m hoping to revive some earlier ideas I had had for ACW-related books and get some words on paper. 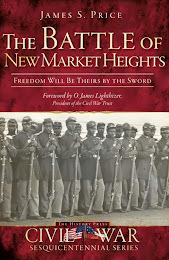 I was recently gratified to see that Will Greene cited my book on the Battle of First Deep Bottom (which, shockingly, did not make the New York Times bestseller list and might not even be in print anymore) over 16 times in his brand-new A Campaign of Giants: The Battle for Petersburg, Volume 1. It’s always nice to be noticed! Also, I had a great time this past February speaking to the Civil War Round Table of Cobb County about the Battle of New Market Heights. It was nice to be treated to a little southern hospitality and engage with an audience over the age of 15 for a change! 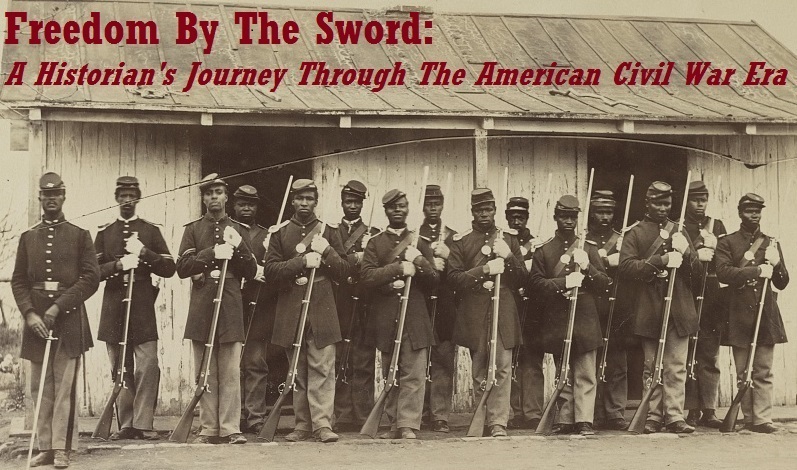 As always, my main interest remains the saga of the United States Colored Troops, especially those who fought in the Richmond-Petersburg Campaign. With the pressure of the sesquicentennial out of the way, I look forward to delving back into primary sources and sharing the results with you! So stay tuned – more to follow!